Prevent Breast Cancer and cycling challenges are no strangers to each other – London to Paris, Salzburg to Vienna and Manchester to Madagascar – whatever the distance, wherever the destination, our team and committed supporters have taken to two wheels to cycle for the charity. Our passion for cycling makes news that we are the first ever Charity of the Year for the Prudential RideLondon-Surrey 46 even more exciting! After all, being active is a huge part of the healthy lifestyle message we promote, and Prudential RideLondon is one of the UK’s largest festivals of cycling. The 46 – one of three sportives at Prudential RideLondon – is designed as a challenging but achievable distance for newcomers to mass-participation cycling. The 46-mile ride begins at Queen Elizabeth Olympic Park in East London before taking in the Surrey countryside and looping back into the city, past famous London landmarks, to a spectacular finish on The Mall in front of Buckingham Palace. Among the riders who will be taking part in the Prudential RideLondon-Surrey 46, to raise money for Prevent Breast Cancer, is BBC journalist and former GB para-cyclist Sally Hurst. Sally has previously battled cancer twice, losing a leg to bone cancer at age 26, before being diagnosed with breast cancer at age 38. She began cycling competitively after losing her leg, turning to the sport as a way to take back control over her life. As a keen cyclist and a huge supporter of Prevent Breast Cancer, Sally hopes the event will give those who have been affected by the disease an incentive to get on their bikes and spread the word about the charity and our mission. And, of course, raise money to pay for vital research, while enjoying themselves in the process. 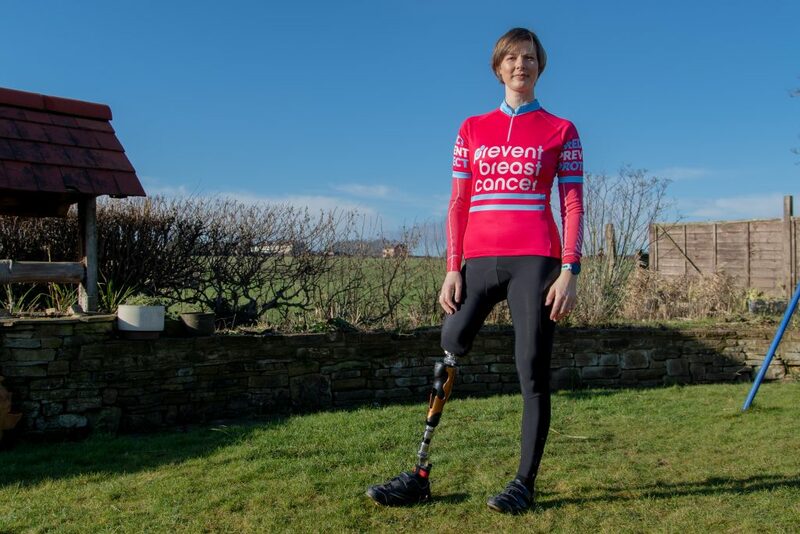 “Being diagnosed with breast cancer just 12 years after losing my leg to bone cancer was absolutely devastating and I had some very dark days. I’m one of the lucky ones, but no one should ever have to hear those words ‘I’m sorry, it’s cancer’ which is why prevention is so important, and why I’m taking part in this ride – to empower and encourage those affected –- to do something positive,” explains Sally. Sally will be working with the Prevent Breast Cancer team on preparations for the ride, which takes place this summer, including sharing her training tips and recommendations with the Team Prevent Breast Cancer riders. To join Team Prevent Breast Cancer at this year’s Prudential RideLondon-Surrey 46 event, just click here! We’re so excited to take part in this phenomenal event as their first ever Charity of the Year!